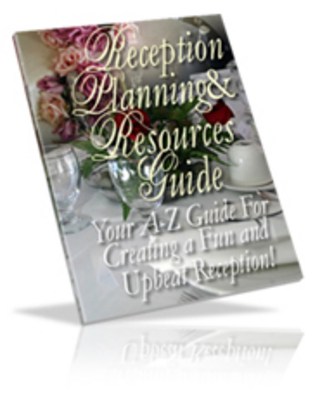 "Reception Planning & Resources Your A-Z Guide" (A $19.97 Value ). This eye-opening report will truly give your reception the juice it needs to be the absolute best! It's also printable so you can check things off, and keep things organized as well..
A truly unique report only given to those who purchase "Wedding Savings Revealed"(and Reception Planning & Resources Guide)!